Have you always wanted to manage a zoo of your own? Well now you can in My Free Zoo! Help the zoo director, Welmington, save the zoo by getting it out of debt and possible closure. Then, add more animals and a variety of enclosures, in addition to the many stalls and decorations to attract more visitors to your zoo. With your capable management skills, you will surely be able to expand and beautify your zoo from a dingy small zoo into a massive one, complete with shopping malls, animal clinic and plenty of visitors! The zoo needs your help, so don’t wait! 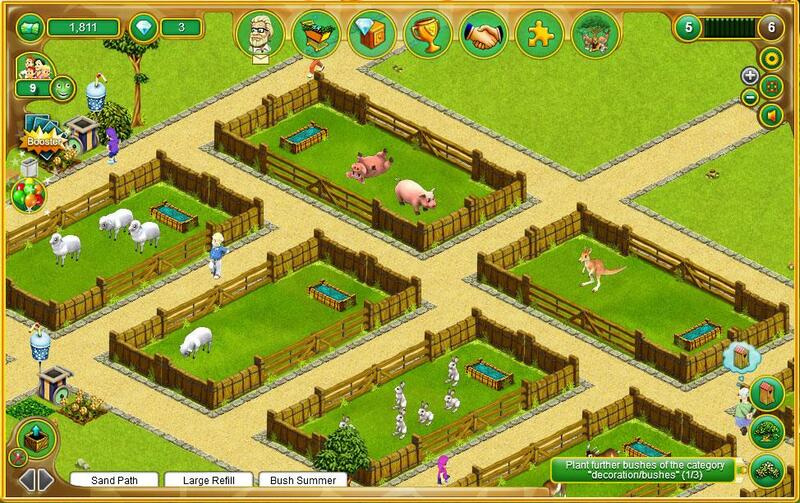 Head on over to My Free Zoo and tend to the animals today! The zoo director, Welmington, approached you with a problem. The Zoo is in urgent need of money and if only you could attract more visitors to the zoo, the zoo could then be saved! Being the capable person that you are, soon the zoo is saved, but now you’ll need to turn this zoo into something really special. Can you make your zoo even bigger and more beautiful? 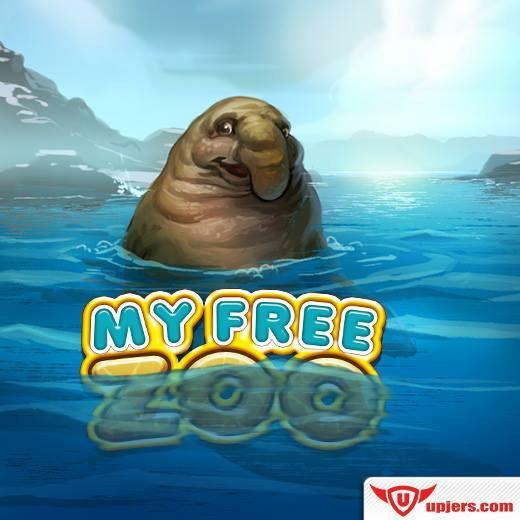 The game starts off with a very short and simple tutorial that teaches you the basics in how to manage your zoo as well as how to attract more visitors to come to your zoo. First of all, you’ll need to purchase some enclosures and animals! 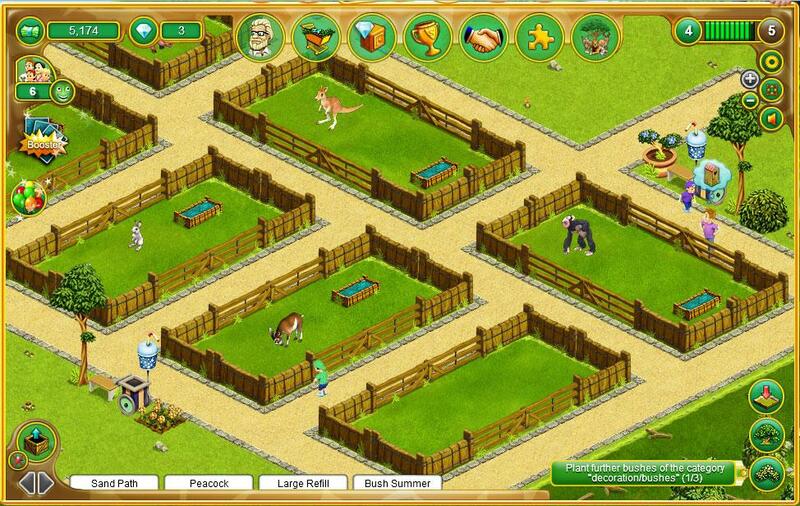 There are many different types of enclosures in My Free Zoo. For instance, there are grassland enclosures for our 4-legged friends, terrariums for reptiles, water enclosures and aquariums for aquatic and semi-aquatic animals, aviary for all your beautiful birds as well as snow/ice enclosure for animals which are accustomed to cold. Every enclosure, or everything in fact, that you buy will end up as cards in your card-bar. In order to place them, just click on the card and click on the place where you want the item or animal to be. You’ll also need to beautify your enclosures by adding in some essential items, such as watering and feeding troughs (Herbivores and carnivores require different feeding troughs, so don’t mix them up!). If you ran out of space in any of your enclosures, you can easily purchase an expansion card to expand your enclosure. Don’t forget to draw a path to your enclosures. You can’t expect your visitors to trudge through muddy grasses, right? Now that you have placed your enclosures, it’s time to populate it with adorable animals! 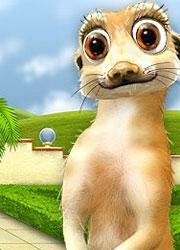 There is a huge range of animals that you can buy in My Free Zoo. They include common animals, such as goats, sheep and rabbits, to some of the more exotic animals like peacock, chimpanzee and camels. Perhaps you could start with adding in some sheep first. You may notice that most animals have 3 different enclosures that they can feel at home in, but in this game, you are not allowed to mix other animals together in one enclosure. Once an enclosure is filled, you will not be able to add in anymore animals as well! You can hover your mouse over each enclosure to see how many animals it can contain. However, a zoo with only sheep is not exactly a zoo – it’s a sheep farm. Thus, you’ll definitely need more animal variety. 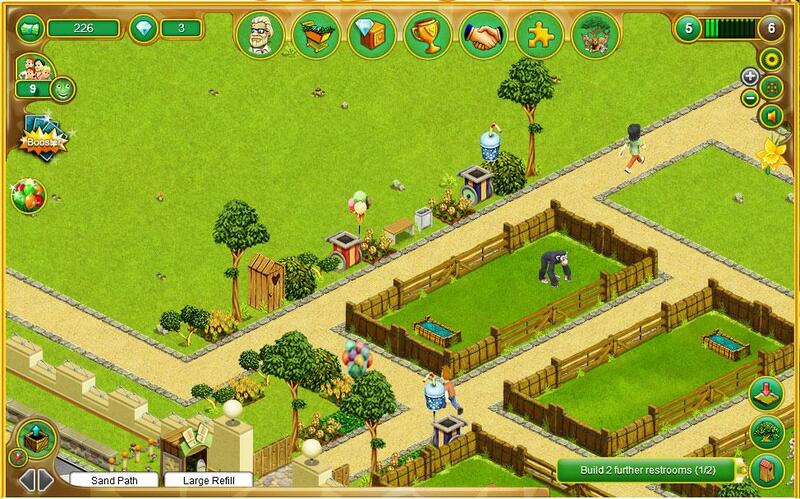 Go to the shop to purchase more enclosures and animals to populate your zoo! Furthermore, these animals are under your care now and their well-being depends on you. Thus, you’ll need to remember to tend to each and every one of your animals. Keep them happy by entertaining, feeding and tending to them. However, there is no one-click solution to this, so you’ll just have to click on every animal in your zoo to make sure that all their needs are fulfilled and that they are happy. Once the enclosures and animals have been taken care of, it’s time to maximize the earnings of your zoo by placing commercial buildings or stalls. Set up stalls to sell food and refreshments to your visitors as well as restrooms for visitors, who hear the call of nature. Your visitors will surely appreciate the facilities you’ve provided to them and of course, pay you accordingly. Naturally, larger stalls will cost more to set up, but they will bring in more money. You will also need to collect money from your stalls and even restroom periodically. 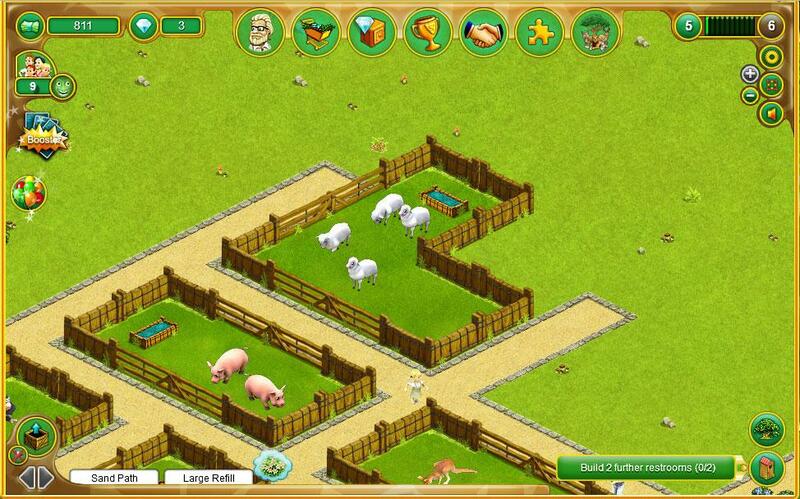 With more money, you can buy more animals and enclosures, and expand your zoo! To attract even more visitors to your zoo, you’ll need to decorate it to spruce it up a bit. There are a huge variety of décor that you can purchase, including benches, flowers, potted plants, trees, garbage bins and fences. Most of these items are interactive – this means that you can earn experience points by, for example, watering the plants or emptying the garbage bins. As you level up, you will also get to buy décor for your brand new artificial lake, shopping mall and even an Amazonian house! Ran out of space? You can also easily expand your zoo with in-game money too! However, zoo expansions cost quite a lot though. Luckily, you are given a very large piece of land to start off with then! In addition, baby animals are extremely popular with visitors to your zoo and thus, you are also able to breed animals to produce little off-springs in this game! The animals in this game have their own respective and randomly assigned genders when you first purchased them from the shop. When you have a pair, a male and a female, you can build a breeding station to start the breeding program. 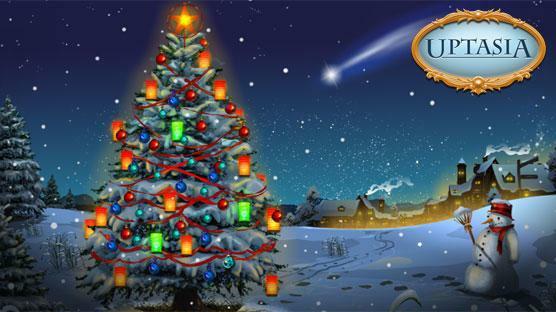 You can also obtain rare animals and other decorative items by collecting card pieces and combining them. These card pieces are tradable. Thus, if you have any card pieces that you don’t need, you can trade them for the ones you need via the in-game trading option. Moreover, you can build an administrative building later on to hire employees that will relieve you of some of your daily chores, which includes caring for the animals and collecting money from the many sources of income scattered around in your zoo. You will get to eventually unlock buildings outside your zoo, such as the animal clinic and the garage, as well! These buildings will allow you access to more tasks that you can do to earn more money. There are achievements in My Free Zoo that you can strive for too! Join the community of virtual zoo-keepers by signing up for an organization membership. You will, however, need to reach at level 15 to be able to join. Besides that, its Facebook fan page has more than 50 thousand likes and that number is increasing steadily, showcasing the game’s increasing popularity. If you want to meet and add new friends who play the game, feel free to drop by at their fan page or even better, at their community forums! The graphics in this game is beautiful and has the distinct art style that identify the game as an Upjers’ game! Everything is very intricately designed, especially its many different animals, enclosures and plants. However, the game does not allow you to zoom in too much… it’s a pity really. The game does not contain any background music, but it does provide a variety of excellent sound effects. For example, when you tend to your animals, they will make their respective animals sounds to inform you that they are happy that you’ve paid attention to them. In short, My Free Zoo is a very well-developed management/ zoo simulation game that allows you to set up and manage your very own zoo! 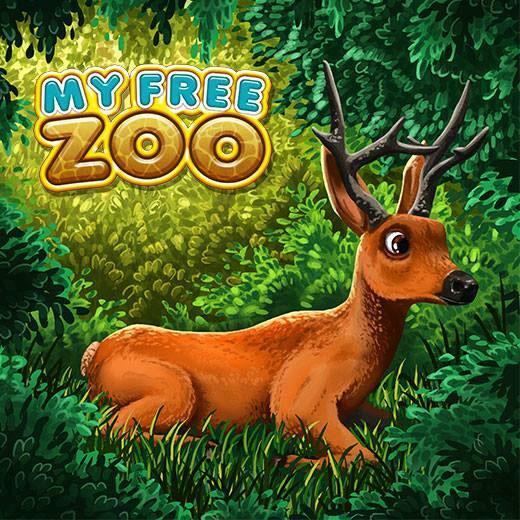 In this game, you will have to populate your zoo with adorable animals, both exotic and common ones, and erect enclosures to keep them all in check. Don’t forget to tend to your animals’ needs to keep them happy and healthy. Besides getting money from the entrance booth, you can also set up stalls and restrooms to collect money from the many visitors to the zoo. Sounds like fun? 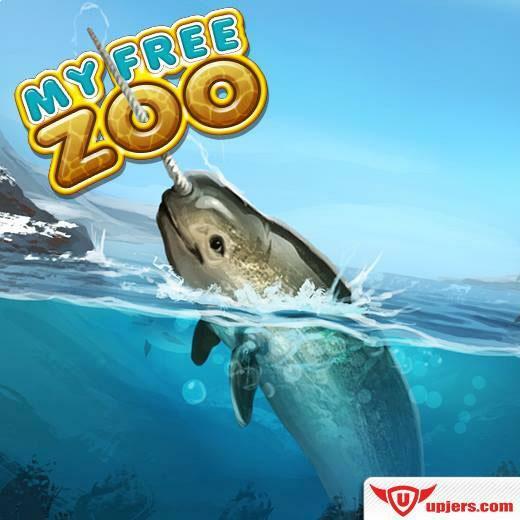 Well, realize your dreams of being a zoo-keeper virtually by playing this amazing zoo simulation and management game, My Free Zoo! by Aethyna Apr 3, 2015 The Zoo is in urgent need of money and being the capable person that you are, you're up and about trying to save the zoo! 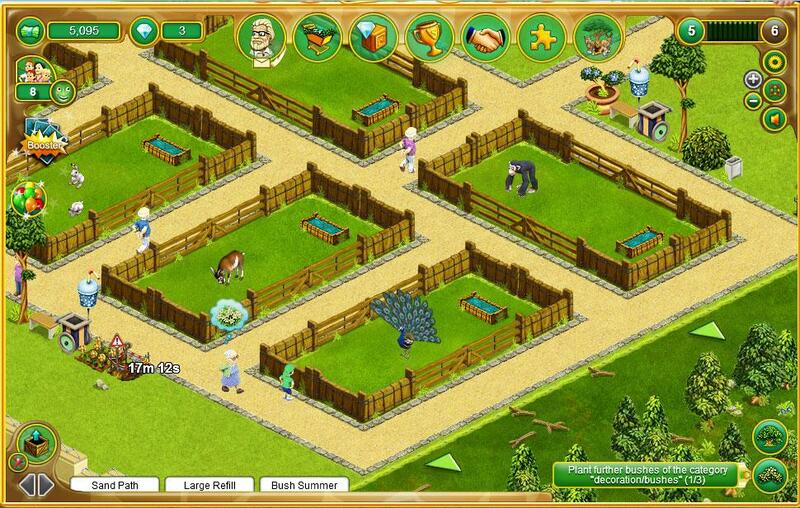 Attract more visitors to your zoo by adding in more animals, enclosures and decorations! Can you develop your zoo into something even bigger and more beautiful? Read More Be the First to Post a Review!